Supporters of Chelsea Manning have asked for the former U.S. soldier and whistleblower's release from solitary confinement, where she has been held for two weeks in contempt of court, The Guardian reports. "The jail says keeping ‘high-profile’ prisoners in adseg is policy for the protection of all prisoners, but there is no reason to believe jail officials view Chelsea as either a target or a risk. If [the prison] wants to prioritize Chelsea’s health and welfare, as they consistently claim, then they should make sure she is able to have contact with other people in the jail." 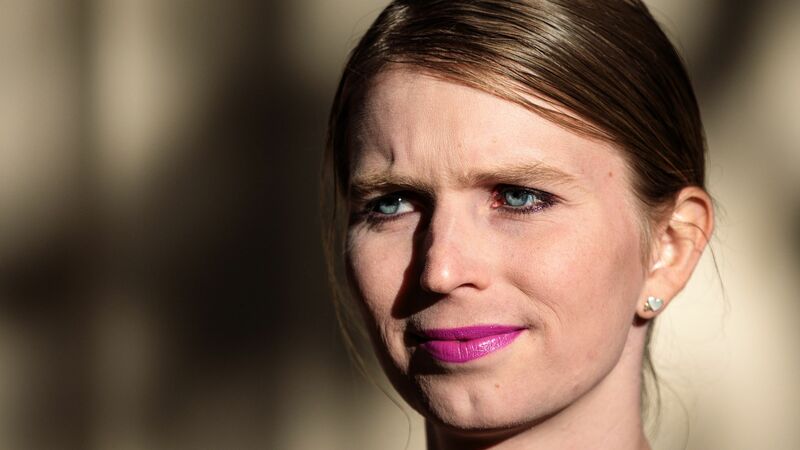 The backdrop: Manning, who was imprisoned from 2010 to 2017 for leaked thousands of military and diplomatic documents, was sent to jail again in early March for refusing to testify before a grand jury investigating WikiLeaks. The Virginia judge overseeing the case said Manning would be jailed until she testified or the grand jury completed its work.